The Medford Lakes Fire Department serves the Borough of Medford Lakes in Burlington County, NJ and our surrounding communities. Medford Lakes is a 1.2 square mile community with a population of approximately 4,100 residents and 21 lakes which was established as a vacation town beginning in the 1920's and reached build out in the 1960's. It is a unique blend of modern homes, log cabins, commercial establishments, and schools. Our Department has approximately 40 active volunteers and we're always seeking candidates ages 16 and up for membership. If you are interested in becoming a member of our Department, fill out the MLFD Recruitment Form to get more information! 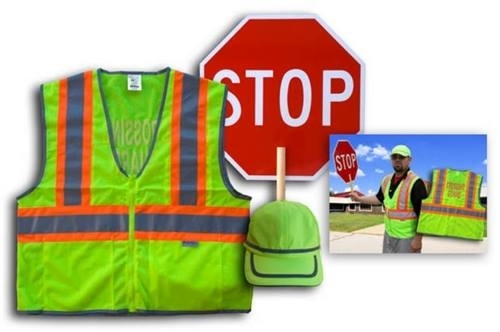 Medford Lakes PD Seeking candidates for part-time crossing guard positions The Medford Lakes Police Department is looking to fill several part-time/substitute vacancies within its complement of Crossing Guards. Substitute Guards are called in as needed to fill one hour posts in the morning or afternoon school hours at any of our locations.Please direct all inquiries to Officer Matthew Parrish of the Medford Lakes Police Department at 609-654-2156, e-mail at mparrish@medfordlakespolice.org or in person at the Medford Lakes Police Department, 1 Cabin Circle Dr. Medford Lakes, NJ 08055. Fire Prevention Open House 2014 The Medford Lakes Fire Department would like to give a big thank you to all that came out to attend tonight's Open House. To our amazement, the rain held out to the very end as the event came to a close. 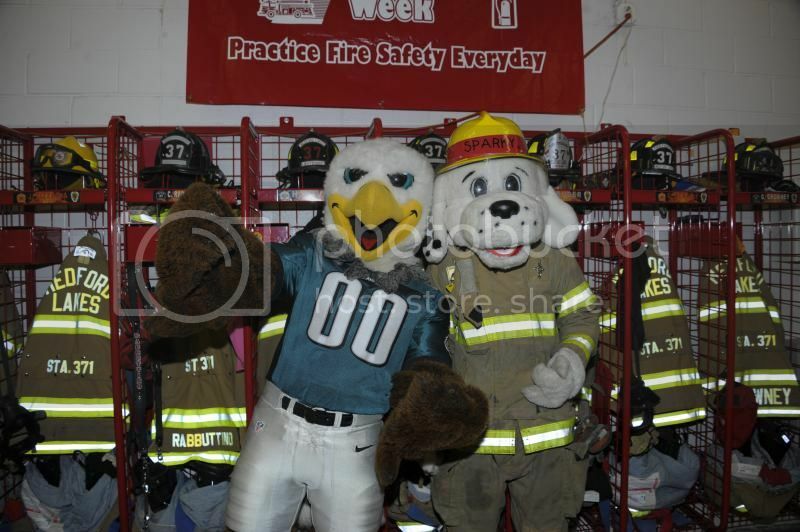 The Medford Lakes Fire Department would also like to extend a big thank you to all the neighboring mutual aid fire companies, Medford Lakes Police Department, Chic-Fil-A Marlton, Mark Allen Auto, Frazier's Hometown Auto and The Philadelphia Eagles for making this years Open House a huge success! Fire Prevention Open House 2014 The Medford Lakes Fire Department will be hosting its Annual Fire Prevention Open House Tuesday October 7th 2014, from 7PM - 9PM., located at 10 Stokes Road. Come Meet & Greet your local Firefighters and learn about Fire Safety & Prevention along with celebrity guests Sparky The Fire Dog & Smokey the Bear! Plenty of activities for everyone of all agesThis years Fire Prevention theme focuses on the importance of working smoke detectors along with testing them every month to ensure they are working properly. Remember, working smoke detectors save lives! ***WATER RESCUE ASSIGNMENT 2/19/2013*** The Medford Lakes Fire Department was dispatched at approximately 11PM in Shamong Twp. for a late night water rescue assignment with Marine 371. 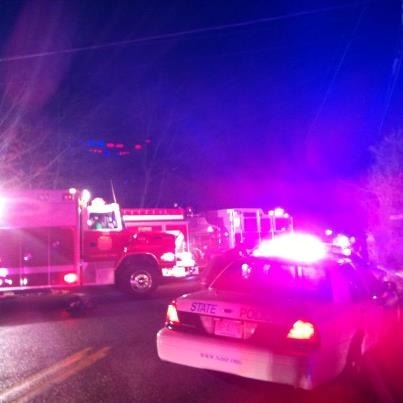 The vehicle was reported to be overturned in the water with the occupant still inside. The victim was quickly removed from the vehicle and treated by EMS.